Green wallpapers and room paint colors are fresh and vibrant. Light green wallpapers and paint colors look almost neutral, and rich green colors make a statement. 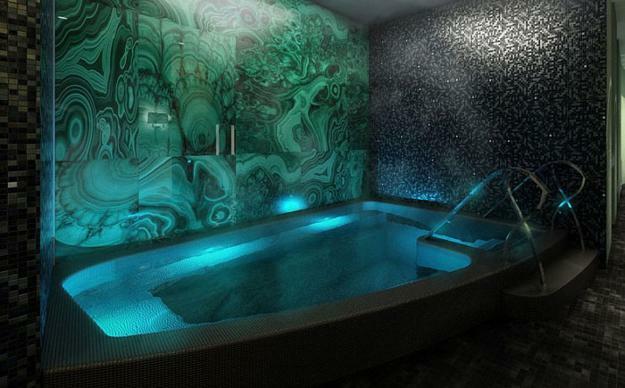 Depending on the hue, inspired by malachite minerals and gemstones you can choose wonderful color design for your ceilings, floor and walls and create peaceful and strikingly luxurious or unique and relaxed interior design and decor. 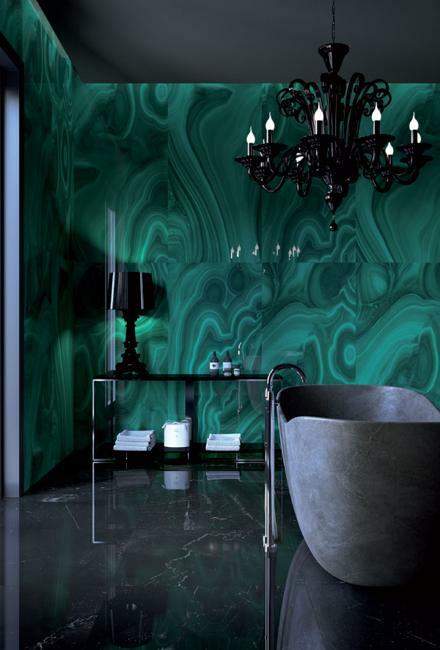 Lushome shares a collection of interior design and decorating ideas with rich green colors in malachite hues. These gorgeous green colors work well for any interior and design style, creating a calming effect and adding personality to room decorating. From dark green to turquoise green, these colors are perfect for any room painting ideas, home furnishings or decorating with modern wallpaper. 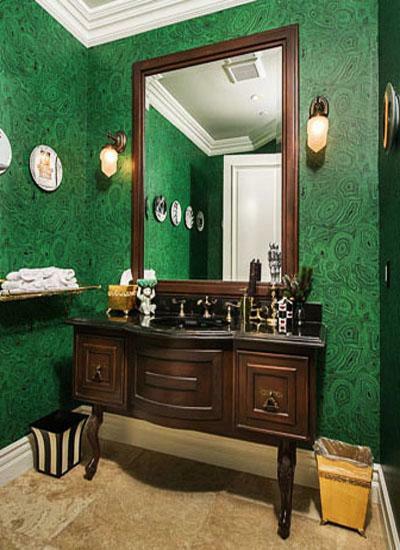 Green colors in malachite hues make perfect bathroom and bedroom designs. 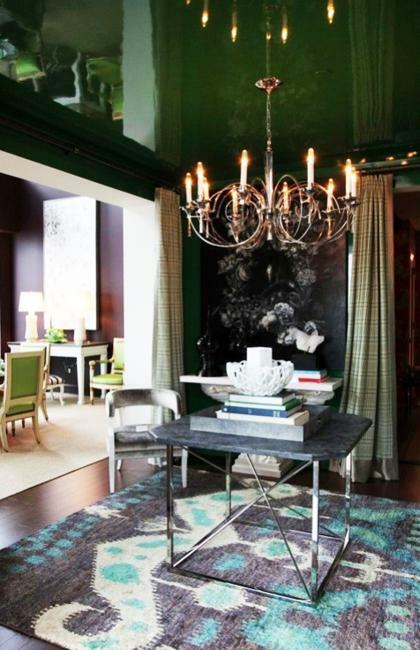 Dark green colors bring vibrancy into living rooms and dining room decorating. Green color schemes may include golden colors and bright yellow color shades, orange and red colors. 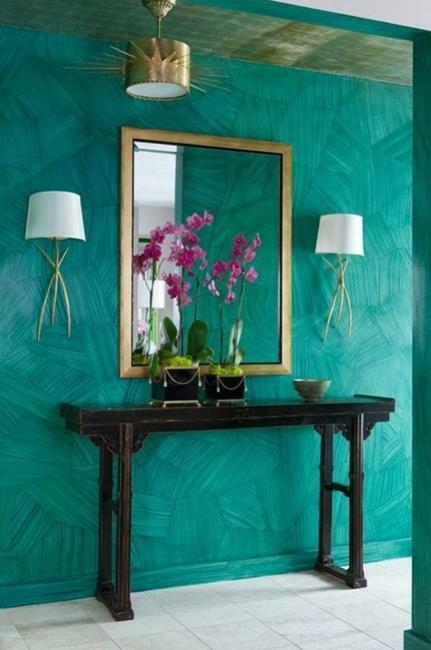 Green colors can be combined with monochromatic hues and all blue color tones. Black and white decorating ideas, combined with green paint colors look sophisticated and chic. Green wall paint colors, green wallpapers and painting furniture green color are the most popular, but hard to change color design ideas. Start to experiment with dark green colors by adding window curtains, lamp shades or floor rugs to your interior design and decor. If you want to sell your house in the future, the dark green color design is not a good option. Painting furniture green colors and bringing green accessories are better solutions for creating fresh, spectacular and modern interior design and decor in green colors. It is easier to change decor accessories when you want to go in a different color design direction. 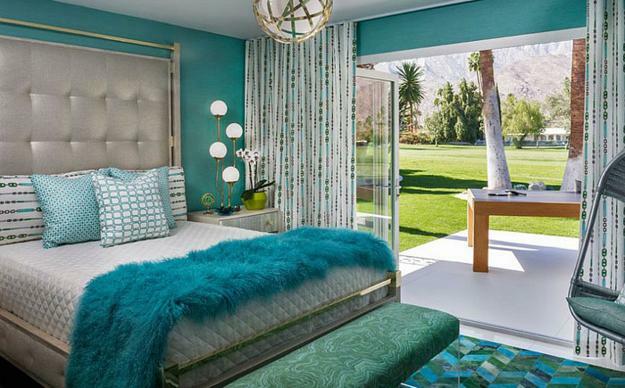 Green color shades are very popular trends in decorating. Malachite minerals and gemstone offer great inspirations for decorating with green wallpapers and green wall paint colors. From pale green color pastels to turquoise and deep green colors, these semiprecious stones inspire beautiful color design ideas for any interior decorating style, room size, function and both genders. Green colors are versatile and elegant, pleasant and trendy. 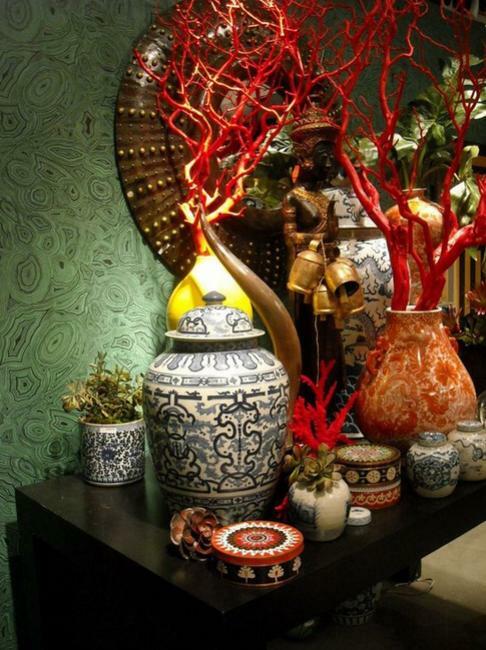 Green accessories, green wallpapers and room paint colors bring freshness and exotic feel into modern interior design. Ceiling designs, floor decorations, painting furniture or wall paint colors in malachite hues create rich and unique look while adding vibrancy to interior design and decor. 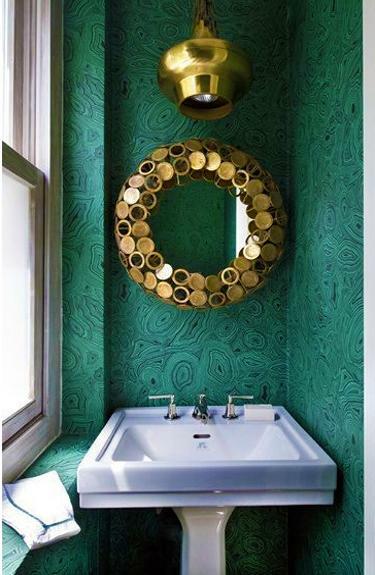 Green wall paint colors can give life to any large or small spaces and add interest to empty walls. Taupe, beige, light gray color tones, all light and dark brown colors and white decorating ideas work very well with green wall paint colors and home furnishings in green. 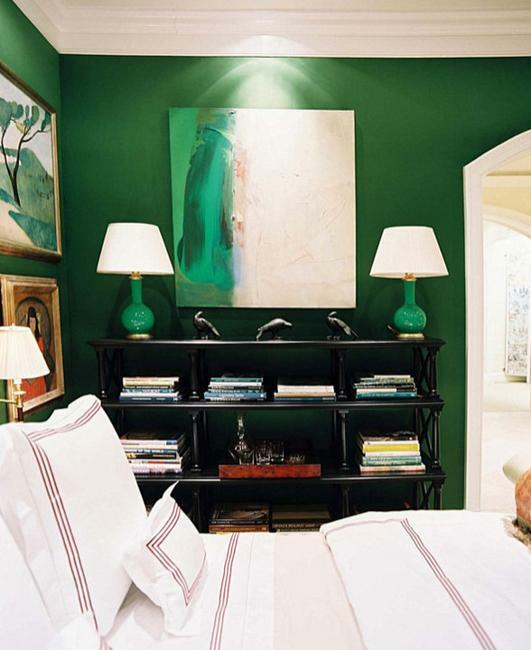 There are many other room colors which go with green wall paint colors in malachite hues. Light turquoise and deep blue color tones look beautiful with all green wall paint colors. 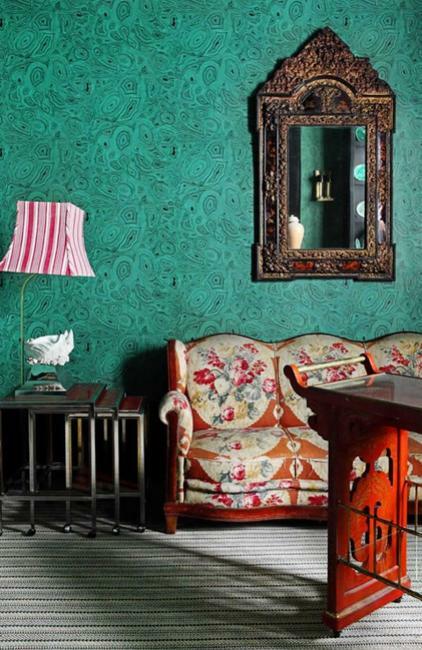 Vintage wallpapers and modern green wallpapers ca be combined with green wall paint colors. Golden colors and sunny yellow color shades bring luxury and warmth into rooms decorated with green wall paint color. 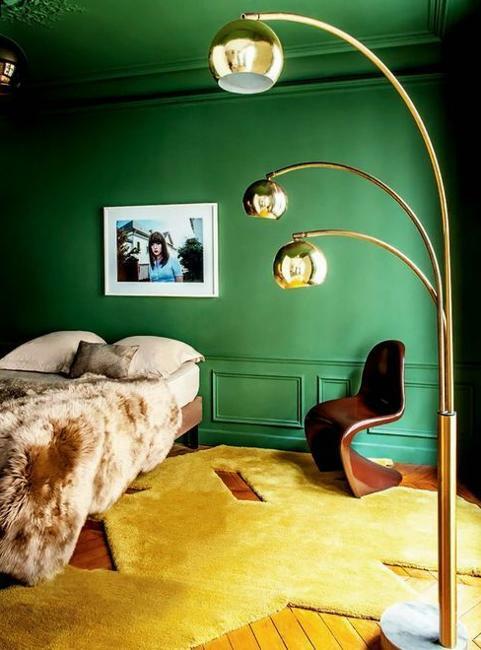 Green wall paint colors can be creatively used for stunning accent wall designs. White decorating ideas, bedding, floor rugs and home furnishings in white create beautiful interior design and decor in a room with green walls. 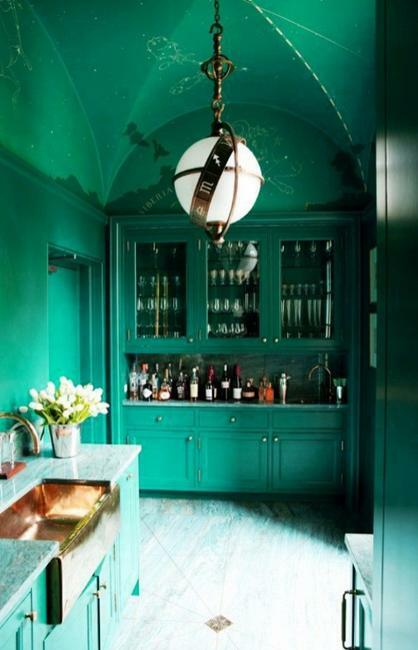 Green ceiling, floor or wall paint colors have universal appeal. 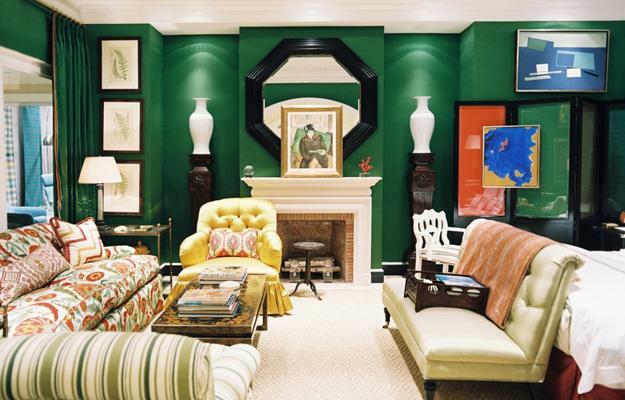 Green colors give vibrancy and rich look to large and small spaces in neutral colors. Green colors help connect modern interior design with the nature and add fresh feel to existing decor. 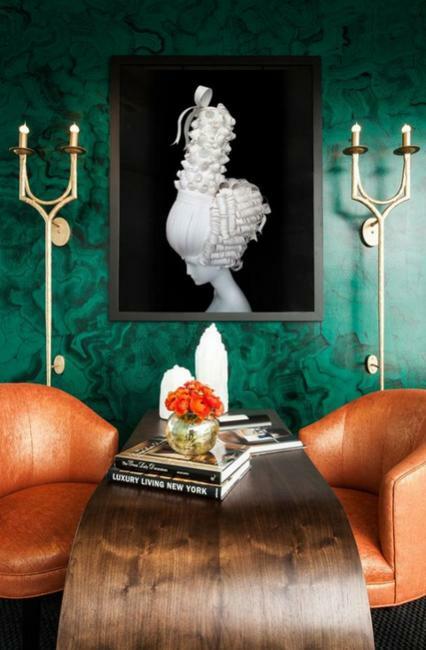 Sophisticated and beautiful interior design created with green wall paint colors and matching decor is very personal. Colorful accents blended with green wall paint colors create drama and bring elegant chic into modern interior design and decor.